Before you file an EEO Complaint, you might want to read this three part article. The APWU has a booklet on your rights when you are excessed. 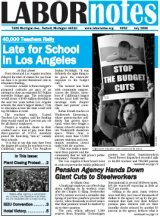 There has been significant interest in my Sept. 30 Update for union members, which discussed the Postal Service’s bleak financial situation and the presidential election: Interest has been especially high about the reference to the possibility of layoffs – for the first time in postal history. The agreement also provides that “upon completion of six years of continuous service in their regular workforce” APWU-represented employees are protected against any involuntary layoff or force reduction “during any period of employment in the regular work force with the United States Postal Service or successor organization in his or her lifetime.” To receive credit for the year, an employee must have worked at least one hour (or received a call-in guarantee in lieu of work) in at least 20 of the 26 pay periods during that anniversary year. 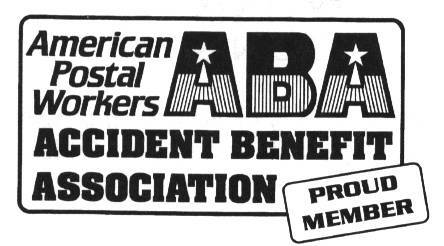 APWU-represented employees who meet the criteria listed above are protected for the life of the 2006-2010 National Agreement or for their lifetime, and are not threatened by layoffs resulting from the significant decline in mail volume or the USPS financial difficulties. If the Postal Service’s offer of early retirement fails to reduce the workforce commensurate with USPS budgetary problems, the Postal Service will have a continuing need to reduce the number of employees. I expect that non-protected employees will be exposed to the possibility of layoff. During a meeting between Postmaster General John E. Potter and the union presidents last month, he reported that 16,000 postal employees lack protection against layoffs. Members of the Mail Handlers Union and the APWU have the protections described above. The threat of layoffs is just one of the factors mentioned in my previous Update, which informed union members that the November elections have great significance for postal employees and are much more personal than abortion, guns, gay marriage and terrorism. This time it is about your job. Continuation of regular pay for the period of the disability, up to a maximum of 45 calendar days, for a traumatic job-related injury. Compensation for wages lost as a result of job-related injury or illness. Medical care for disability due to (1) personal injuries sustained while in the performance of duty (2) Diseases proximately caused, aggravated, or accelerated by postal employment. For more information about injury compensation please consult the Employee and Labor Relations Manual (ELM) at USPS.com. Click here! workerscompensation.com - "Everything you want or need to know about Workers Compensation, and where to find it". Includes a Federal Workers section and state by state information. Suffering an injury at work can often be painful; getting a claim approved shouldn’t be. Understanding the basic claims process of the Office of Workers’ Compensation Programs is an employee’s best defense. In order to obtain benefits when an injury occurs at work, notice must be submitted to OWCP. The three most common notices submitted by postal workers to initiate claims are: Traumatic Injury, Occupational Disease, and Recurrence of Disability. If the condition is caused by a single event or a series of events in a single workday or shift, Form CA-1 should be filed. When a notice of such a Traumatic Injury is reported within seven days, the supervisor should provide the employee with Form CA-16 (“Authorization for Examination and/or Treatment”) within four hours of the request, even if the employer doubts the injury is work-related. The CA-16 guarantees payment for most non-invasive treatments, regardless of whether the claim is approved. If the condition is caused by a series of events over a period of two or more workdays or shifts, the employee should file Form CA-2, which provides notice of an Occupational Disease. The length of time that a condition takes to manifest itself — not the diagnosis — determines which claim to file. The most misunderstood claim is a Recurrence of Disability, which is defined as a worsening of an accepted medical condition without an intervening event. If an accepted medical condition is worsened by the work environment, it is not a recurrence, but is considered a new injury, in which case a new claim should be filed. Also, a recurrence can be claimed when the employer withdraws medically suitable work. Form CA-2a should be filed when a recurrence occurs. Giving notice does not automatically entitle employees to Federal Employees’ Compensation Act (FECA) benefits. Five requirements must be satisfied to achieve claim approval. For a claim to be considered timely, an employee has three years from the date of injury, or from the date that he or she became reasonably aware that a condition was causally related to work, to file. As postal employees, we meet the second requirement, being a civilian employee. In order to meet the third requirement, fact of injury, both the occurrence of an event (an accident or employment factor) and a resulting medical condition must be established. An event alone, such as a slip and fall or exposure, without a resulting medical condition does not meet the requirement. In cases of latent disability, employees have three years from the onset of the condition to file. If the first three criteria have been accepted, the claims examiner must then determine whether the employee was in performance of duty when the injury occurred. Employees who are injured on USPS premises during working hours and are engaging in activity which is reasonably associated with employment are covered. This includes on premises use of restrooms, time spent on breaks or lunch or for personal acts for the employees’ comfort. Coverage is also extended to employees who are on premises for a reasonable time before or after work hours, on official union time, in travel status, injured in parking facilities owned, controlled, or managed by the USPS, or off premises when the nature of the work requires it. The final requirement, causal relationship, is often the most problematic documentation to obtain. Many doctors simply state that a condition is work-related rather than explaining the causal relationship between the injury and the workplace. Doctors must provide medical reasoning explaining how they came to their conclusions (e.g., how lifting a box caused a herniated disc, or how repetitive grasping caused carpal tunnel syndrome). The medical narrative must connect the dots. Failure to satisfy all of these requirements often generates frustrating OWCP developmental letters and can result in denied claims or delays that create financial hardship for the employees and their families. All of this can be avoided with a little understanding. If you are injured while at work you need to check out this information. The Federal Employees’ Compensation Act (FECA) provides wage loss compensation and medical benefits to postal and federal employees who become injured or ill as a result of their duties. For an overview of laws, regulations, and policies that affect injured postal and federal employees, click here. The following information was obtained from a variety of websites and represents my reading of the Act. It does not represent the current position of the APWU. In 1990, Congress enacted the Americans with Disabilities Act (ADA) to provide a clear and comprehensive national mandate for eliminating discrimination against individuals with disabilities. Upon enactment of the ADA , the United States Supreme Court became constitutionally obligated to interpret and enforce the law in a manner consistent with Congress’s directives. But as a result of several prominent Supreme Court decisions in ADA cases, legislators in Congress have become displeased by the manner in which the law has been interpreted. In response, Congress has passed the ADA Amendments Act of 2008 (ADAAA), effectively expanding the scope of the original law. In expressing its dissatisfaction with the Supreme Court’s decisions in ADA cases, Congress found that the Court has “narrowed the broad scope of protection intended to be afforded by the ADA , thus eliminating protection for many individuals whom Congress intended to protect.” Moreover, Congress found that the definitions of two seminal legal terms used by the Equal Employment Opportunity Commission (EEOC) were inconsistent with Congressional intent because they expressed too high a standard for individuals seeking protection under the law. Thus, Congress drafted the ADAAA with the goal of correcting the judicial contraction of the ADA ’s scope, as well as the EEOC’s expansion of several of the ADA ’s minimum applicability thresholds. In June 2008, the House of Representatives passed a version of the ADAAA (H.R. 3195) by a vote of 402 to 17; the Senate unanimously approved its own, slightly different version of the ADAAA (S. 3406) on September 11. Six days later, the House approved the Senate’s version, and, on September 25th, President George W. Bush signed the bill into law, which will take effect on January 1, 2009 Although the ADA prohibits discrimination on the basis of disability in several different areas, the ADAAA will likely have its greatest impact in the employment context, requiring employers with 15 or more employees covered by the ADA to adjust their policies and procedures to comply with the ADAAA. Some of the new law’s significant provisions are described below. Determining an individual’s entitlement to protection under the ADA hinges on whether or not that individual suffers from a “disability,” as the term is defined by the ADA . Although other terms and phrases found within the definition of disability have been changed by the ADAAA, the definition of “disability” itself was not. However, what the ADAAA does do is state that “the definition of disability…shall be construed in favor of broad coverage of individuals under [the ADA ], to the maximum extent permitted by the terms of [the ADA ].” This provision was included in the ADAAA to reinstate the broad scope of protection afforded by the ADA that, in the view of the Congress, the Supreme Court has improperly narrowed. To qualify as a disability under the ADA , a physical or mental impairment must substantially limit “one or more major life activities” of an individual. In one Supreme Court decision legislatively overruled by the Congress’s enactment of the ADAAA, the Court had held that the word “major” in this context “need[s] to be interpreted strictly to create a demanding standard for qualifying as disabled.” In the ADAAA, however, Congress has explicitly rejected this standard as contrary to the broad scope of protection that is available under the ADA . functions involving the digestive, bowel, bladder, neurological, brain, respiratory, circulatory, endocrine, and reproductive systems. While under the ADA a physical or mental impairment must “substantially limit” one or more major life activities, the ADAAA includes several provisions that loosen this requirement. First, the ADAAA rejects the Supreme Court’s requirement that the word “substantially” be interpreted strictly to create a demanding standard for individuals seeking to qualify as disabled. Furthermore, the ADAAA rejects the Supreme Court’s rule that the word “substantially” be read to mean “prevents or severely restricts.” In this regard, the ADAAA significantly reduces the degree of impairment required for protection under the ADA . Second, the ADAAA provides that an impairment that substantially limits one major life activity need not limit other major life activities to be considered a disability. Third, the ADAAA provides that an impairment that is episodic or in remission is a disability if it would substantially limit a major life activity when it is active. Finally, the ADAAA provides that the determination of whether an impairment substantially limits a major life activity shall be made without regard to the ameliorative effects of mitigating measures such as medication, prosthetics, hearing aids, mobility devices, and oxygen therapy equipment. This provision in the new law expressly overrules a case in which the Supreme Court held that determining whether impairment substantially limits a major life activity requires reference to the ameliorative effects of mitigating measures. However, there is an important exception to this rule—one that states that the ameliorative effects of ordinary eyeglasses or contact lenses shall be considered in determining whether impairment substantially limits a major life activity. The purpose of this exception is to prevent the many individuals who wear either ordinary glasses or contact lenses from making claims of disability on those grounds. The ADA prohibits discrimination against an individual who is “being regarded as” having a disability. Traditionally, an individual claiming that he or she was “regarded as” having a disability had to prove that an employer regarded him or her as being substantially limited in a major life activity. The ADAAA has lifted this burden of proof by providing that an individual may be unlawfully regarded as having a disability “whether or not the impairment limits or is perceived to limit a major life activity.” However, the ADAAA provides that transitory and minor impairments which have an actual or expected duration of less than six months are not considered disabilities under the “regarded as” prong of the definition of disability. Additionally, the ADAAA provides that an employer is not required to provide a reasonable accommodation or make reasonable modifications to policies, practices, or procedures for an individual who meets the “regarded as” prong of the definition of disability. Through the ADAAA, Congress has conveyed its intent that the primary object of attention in cases brought under the ADA should be whether covered entities have complied with their obligations and that the question of whether an individual’s impairment qualifies as a disability under the ADA should not demand extensive analysis. Such a shift is significant because the Postal Service has had success in arguing that an employee is not disabled under the ADA and is therefore ineligible for its protection. By reducing the amount of attention that is to be focused on an employee’s status as disabled, it is likely that more ADA cases will end up going to trial rather than being resolved summarily without a trial. There is no denying that the ADAAA has expanded the number of individuals who may be entitled to protection under the ADA . At the very least, the ADAAA has made it easier for employees to state a claim under the ADA . At this time, the ultimate impact of the ADAAA is difficult to determine. Adding to the uncertainty is the fact that the EEOC has yet to promulgate any regulations interpreting the ADAAA’s provisions. Nevertheless, on January 1, 2009, the Postal Service, which is covered by the ADA , will be required to comply with the new law. Further information will be provided after the EEOC promulgates the new ADAAA regulations. Alternative discipline is an approach to addressing misconduct that enables supervisors to consider the nature of the offense, and the personality of the employee, when crafting a response that has the greatest potential to help the employee to avoid future misconduct. For example, under traditional discipline, Federal supervisors have the authority to suspend an employee without pay if the employee misbehaves— but what if the supervisor thinks another method may have a better chance of changing the employee’s behavior? The U.S. Merit Systems Protection Board (MSPB) has just released a report, Alternative Discipline: Creative Solutions for Agencies to Address Misconduct, that looks at what agencies are doing in this area. One of the report’s major findings is that few agencies have a formal policy on alternative discipline, and many agencies do not provide formal training or guidance. This leaves supervisors and organizations to learn about alternative discipline on their own. The MSPB’s support for using alternative approaches to traditional discipline dates back to its early days after its formation following the Civil Service Reform Act of 1978. In a landmark 1981 case, Douglas v.
The MSPB report contains information on how different agencies are using— or not using—alternative discipline and includes a helpful section on important case law for parties to consider when drafting an alternative discipline agreement. Veterans Suicide Hotline - 24 hours a day! 1-800-273-8255 - press "1" after being connected. Disabled Veteran Outreach Representative - Iowa Workforce Development. Ted Hall,430 East Grand Ave, Des Moines, IA. 50309. 515-281-9629.Fax 515-281-9645. Theodore.hall@iwd.iowa.gov or www.iowaworkforce.org. Q: Can a preference eligible employee be excessed from a section or installation to an assignment at the same wage level? Q: Can a preference eligible employee be excessed from a section or installation to a lower-level assignment? Q: Can the preference eligible employee be skipped? A: No. Skipping the veteran would violate Article 12 and the craft seniority articles, and could not be done unless in accordance with an agreement made prior to November 2001. The excessing would have to stop. Q: After excessing or a reduction of employees is announced, what happens if a preference eligible employee volunteers to be reduced? A: Unless the preference eligible employee first was provided with an opportunity for a specific same-level job, the voluntary action would violate the RIF rules. Q: Can a preference eligible employee be excessed to unassigned status? A: Yes, but only within the same installation. Q: As an unassigned worker, can the preference eligible employee perform lower-level work? A: On occasion, yes. On a daily basis (temporarily), yes. There has been a Merit System Protection Board decision that permits putting an employee in a lower-level assignment on a temporary basis. We are now seeking a board decision on the definition of "temporary." We do not believe that this definition will include a situation in which a preference eligible employee remains unassigned for years, with no attempt to assign the employee to a same-level assignment. The AFL-CIO today is launching the Union Veterans Council, bringing together veterans and members of military families to hold our leaders accountable on the issues that matter most. The launch of the Union Veterans Council will help mobilize the more than 2.1 million union members who are veterans to get involved in the 2008 elections and fight for the health and education benefits they deserve. These veterans will speak out to advocate policies like a fully funded Veterans Affairs (VA) and the recently passed 21st Century GI Bill. The Union Veterans Council kicks off today in Dayton, Ohio. AFL-CIO President John Sweeney will join Building and Construction Trades Department President Mark Ayres, a military veteran and chairman of the Union Veterans Council, in announcing the national effort. In addition to the Dayton event, union veterans are meeting at roundtable events in Milwaukee, Minneapolis, Denver and Charleston, W. Va. Union veterans will launch their own state-level veterans councils and discuss plans to elect pro-working family leaders who will support veterans. Union veterans will take the lead in comparing the records of the presidential nominees, Sen. Barack Obama (D-Ill.) and Sen. John McCain (R-Ariz.). The AFL-CIO also is launching a TV ad today featuring Jim Wasser, a Vietnam-era veteran and retired Electrical Workers (IBEW) member. In the ad, Wasser speaks about McCain, whose military service is honorable but whose Senate voting record hasn't supported veterans and their families. The ad will run in communities around the country hard-hit by the nation's economic crisis. In the ad, Wasser praises McCain's military service and discusses his concerns about McCain's political agenda. Every vet respects John McCain's war record. It's his record in the Senate that I have a problem with. Wasser says McCain supports continuing to spend billions in Iraq, yet he repeatedly voted against increased funding for veterans health care. People should let McCain know that his agenda is not what we need. Not now. Around the country, union veterans will be critical in electing a president and Congress that respect their service and look out for working families. The Union Veterans Council will make sure these veterans are educated and energized this fall. Attn: DFAS in JFJC-A, 8899 East 56th St. Indianapolis, IN 46249-0875. Phone 317-510-7298. DFAS-Cleveland Center & FMCS, 1240 East 9th St. Cleveland, OH. 44199-2055. Phone 216-522-6545. Commanding Officer (S/R), Settlement and Records, Military P/P Center, 444 SE Quincy St., Topeka, KS. 66683. DFAS-DE-FJY, 6760 East Irvington Place, Denver, CO. 80279-7408. Phone 303-676-7408. DFAS-Kansas City Center FBL, 1500 E 95th Center, Kansas City, MO. 64197-0001. Phone 816-926-7652. Q: I served in the military and now work at the Postal Service. I heard that I can "buy back my military time" and have it counted towards my postal retirement. How can I do that, and should I do that? A: In accordance with Public Law 97-253, employees covered under the Federal Employee's Retirement System (FERS) will receive credit for their Post-56 military service if a deposit is made under FERS. For FERS employees, the deposit is 3% of basic military pay. An interest-free grace period will extend for three years after the date of the career appointment. At the end of the three year grace period, interest will accrue on the unpaid balance. All military service must be honorable in order to complete a buy back. 1. 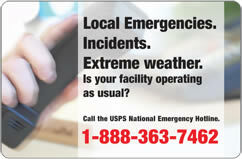 Call the USPS HR Shared Service Center at 1-877-477-3273, Option 5. Tell the representative that you wish to buy back your military time. 2. The USPS will send you a packet which includes a form for obtaining your estimated earnings during military service. Follow the instructions in the packet for obtaining your estimated earnings and also your DD 214 (Report of Separation). An official copy of your DD 214 must accompany your request for estimated earnings. The DD 214 must be a "Member 4" copy or one which contains character of service and time lost information. If you are unable to locate a copy of your DD 214, you will need to order an Undeleted copy at http://vetrecs.archives.gov or complete and mail the SF180 form enclosed in the packet. More info: How to obtain your DD 214. 3. After obtaining your estimated earnings from the U.S. Military, send the completed forms back to the Postal Service's HR Shared Service Center. Use the return mailing label included in the packet. 4. If you wish to make payment for your military service, you will need to complete Section 12, Election of Payment, on PS Form 2805, Military Deposit Worksheet and SF 3108, Application to Make Service Credit Payment (instructions and forms included in packet). You may make a lump sum payment by check or money order, installment payments ($50.00 minimum) also by check or money order, or payroll deductions (in $5.00 increments). 5. When the deposit has been paid in full, your retirement computation date will be adjusted to include your military service. Should you buy back your military time? The choice of course is up to you, depending on the amount of deposit and time added to retirement. The general consensus is that if you retired from the military then you shouldn't buy back your military time and combine your military retirement and postal retirement. If you did not retire from the military (for example you served one or two enlistments like many people do) then the general consensus is that you should buy back your military time and have that time added to your postal retirement. PostalMag.com owner Tom Wakefield recently bought back his military time. Tom served in the military from August 1985 to January 1990 for a period of about 4 years and 5 months. (He extended his 4-year enlistment by 5 months for an additional overseas tour.) Tom's basic military earnings for those 4 years and 5 months was $45,153.21. Based on these earnings, Tom's amount due for buying back his time was $1,354.60. However, Tom wasn't very smart and waited until 2008 to buy back his time, and $1,844.03 interest had accrued, making the total amount $3,198.63. Nevertheless, Tom decided that this amount was worth having 4 years and 5 months added to his postal retirement, and he sent a check for $3,198.63 to HR. Tom is very satisfied with his buy back. Instead of having 18 years of service in the Postal Service, having joined the USPS on June 2, 1990, Tom now has 22 years and 5 months counted towards his postal retirement, as of June 2, 2008. I have an employee who has returned from active duty, but the orders state that the release date is not for several months. Is the employee eligible to use the five days of Administrative Leave (Code 079-67)? No, the employee can only request the Administrative Leave on a PS Form 3971 after the release date. The employee has a period of up to one year from the release date to use the granted leave. Why is Code 079 used for the 5-day Administrative Leave when the Hours Codes state that the code is for Veteran’s Funeral Leave? For administrative purposes, this code has been chosen. When inputting time for the Administrative Leave, please use Code 079 and a Reason Code of 67 to indicate this is the Military Administrative Leave. I input an employee for 40 hours of Military Leave and used Code 067, but the employee received 40 hours of LWOP. Why? If an employee has NEVER used Military Leave before, the local TACS office needs to be notified to advance the leave before it is taken. The employee has used all available Military Leave. Now can I deny the leave requests? No, the employee may still be eligible for Military LWOP, Code 044. Are Part-Time employees eligible for Military Leave? Part-time employees earn one hour of military leave for every 26 hours in a pay status during the previous year, provided the employee was in a pay status a minimum of 1,040 hours and the employee’s pay for military leave does not exceed 80 hours. How do I find out how much Military Leave an employee has available? This information is available in TACS in the Employee Maintenance Module under Leave Information, or you may contact your local TACS Office at the number listed below. Career postal employees who belong to the following components of the armed forces, are eligible for paid military leave: The Army or Air National Guard, The Army or Air Force Reserve, The Naval or Marine Corps Reserve, or The Coast Guard Reserve. Casuals, Transitional Employees, Contract Workers, and Non-Career Rural Carriers are not eligible for paid military leave, but are permitted to be absent for military leave. What documentation is required for Military Leave? Military orders or properly endorsed documentation showing the duty was actually performed is required upon the employee’s return (ELM 517.34). For answers to any other questions regarding Military Leave, please call the TACS Office from 6am until 6pm at 515-278-7606. Millions of veterans and eligible family members will get slightly larger disability compensation, pension and survivors’ benefits checks this month as part of the Department of Veterans Affairs (VA) annual cost-of-living increases. Beneficiaries will receive a 2.3 percent increase in disability compensation and survivors’ benefits, starting with their January 2008 checks. Under the veterans’ disability compensation program, the tax-free payments generally will range from $117 to $2,527 per month depending on the extent of disability. The most severely injured vets will receive special monthly payments of up to $7,232, VA said. Secretary of Veterans Affairs James Peake said the increase assures that payments to disabled vets will “keep pace with today’s cost of living.” To see more, go to: www.va.gov. The House last week passed a package of bills to benefit veterans, including a measure to develop and implement a comprehensive program designed to reduce the incidence of suicide among former servicemembers. H.R. 327, the Joshua Omvig Veterans Suicide Prevention Act, would establish a veterans’ suicide prevention program at the Department of Veterans Affairs (VA), Rep. Bob Filner, D-Calif., said on Oct. 23. H.R. 327 has already been approved in the Senate and is to be sent to President Bush for his signature, Filner said. The president is expected to sign it. “One of the most pressing issues facing our returning service men and women is mental health care, and I believe that H.R. 327 provides help to those in need,” said Filner, chairman of the House Veterans Affairs Committee. “If we send our men and women off to war, we must, as a nation, do all we can to address their health care needs when they return.” To see more, go to: http://veterans.house.gov/news/PRArticle.aspx?NewsID=150. As many as 100,000 military reservists who worked at the U.S. Postal Service between 1980 and 2000 could be eligible for thousands of dollars in compensation because they were improperly charged for their military leave, under a new ruling. The Merit Systems Protection Board decision greatly expands the scope of a larger back pay issue that ultimately could cost the government half a billion dollars, said Matthew Tully (http://www.fedattorney.com), a New York attorney who is representing affected employees for free. Previous rulings have held that between 150,000 and 200,000 reserve or National Guard members who worked for executive branch agencies between 1980 and 2000 are eligible for back pay because of an erroneous leave policy. In a March 7 ruling, Miller v. U.S. Postal Service, MSPB said reservists who worked at the Postal Service also are covered because that agency used the same policy. Outside the Defense Department, the Postal Service is the largest single employer of Guard and reserve members, Tully said. He said complying with the decision could cost the Postal Service upwards of $200 million. “They’re probably going to have to jack up the price of stamps 3 or 4 cents just to pay for the outcome of this decision,” Tully said. The Postal Service did not immediately respond to a request for comment. The Postal Service could appeal the ruling to the U.S. Court of Appeals for the Federal Circuit, although that court in 2003 issued the landmark decision that employees were entitled to back pay because federal agencies improperly charged reservists who were on military leave for days they were not scheduled to work. Subsequent decisions by MSPB expanding the scope of the appeals court ruling have not been challenged. The policy, which was changed in 2000, had charged reservists for every calendar day they were on military leave, instead of charging them for the actual work days they missed. Reservists who used up their military leave because they were charged for weekends or other days they weren’t scheduled to work instead had to use their own vacation days or take leave without pay to complete their annual military training. The court decisions require agencies to restore annual leave to current employees or provide back pay to retired workers to make up for the lost compensation or leave that employees incurred because of the policy. Tully said the average back payment has totaled $3,500, although employees have received anywhere from $400 to $14,000 depending on how long they were in the reserves and their pay grade. Reservists who believe they are owed back pay must file their case with MSPB. The organizations listed below provide a wealth of resources to veterans on a variety of concerns. The American Legion is a patriotic, mutual-help organization that provides community service and assistance to all veterans who served at a time when our nation was at war. Department of Veterans Affairs (known as the VA) provides information on veterans’ issues, particularly on benefits: compensation and pension, education, vocational rehabilitation, home loans, and more. The agency offers special programs for homeless, minority, and female veterans. Applications for benefits are available online. Disabled American Veterans provides assistance to veterans who were disabled during time of war or armed conflict. DAV is dedicated to a single purpose: To build better lives for America’s disabled veterans and their families. Their Web site offers a legislative program and volunteer opportunities. Military.com connects U.S. Service Members, military families and veterans to all the benefits of service. The Military Order of the Purple Heart is a congressionally chartered veterans’ organization exclusively for veterans wounded in combat. It publishes “Issues Affecting Veterans Today” and offers help with VA claims and military records requests. The National Gulf War Resource Center is an international coalition providing information, support, and referrals for people concerned with the complexities of Persian Gulf War issues, especially Gulf War illnesses and service members held prisoner or missing in action. The Paralyzed Veterans of America is a congressionally chartered veterans’ service organization that has developed a unique expertise on a wide variety of issues involving the special needs of veterans who have experienced spinal cord injury or dysfunction. Sons and Daughters In Touch help locate, unite and provide support to family members of those who died or remain missing as a result of the Vietnam War, and support to those who have experienced similar loss. USO’s mission (United Service Organizations) is to provide morale-boosting, welfare, and recreational services to uniformed military personnel and their families. Veterans of Foreign Wars assist our veterans and provide community service through programs and special projects that include citizenship education, youth development, and military assistance. The VFW offers news and informational resources, and its National Legislative Service office closely monitors legislation affecting veterans. Vietnam Veterans of America is an organization dedicated to Vietnam-era veterans and their families. VVA provides a listing of service representatives by state as well as VVA Guides, which include: Agent Orange, VA Claims and Appeals, Post-traumatic Stress Disorder, and VVA’s Guide to Veterans Preference. The organization also has a Government Relations page, which includes a Legislative Action Center and a locator page designed to help veterans find fellow service members. To help support our troops, the APWU Human Relations Department has developed several programs in cooperation with the USO, the Fisher House Foundation, Malogne House, Walter Reed Army Medical Center and the National Naval Medical Center. These APWU programs will only be possible through your generosity. Your participation in our Support Our Troops programs will serve as a reminder that you have not forgotten their sacrifice. Care packages provide warm messages and familiarities from home. Packages will be sent (through the USO) to servicemen and women serving in Operations Iraqi Freedom and Enduring Freedom. Recipients will include all military branches and be from anywhere in the US. We will also be forwarding care packages to APWU members or their loved ones who have been deployed overseas (when we have their military mailing address). Additionally we will be delivering your packages to severely injured service members who have returned stateside but require a long-term stay in a medical facility in order to undergo rehabilitation and physical. To be in compliance with the law and security measures it is important to follow the “Wish List” procedures. Care packages will be opened and inspected before they are forwarded. Please mark your package clearly if it is intended to be gender specific. Do not send packages directly to the organizations we have coordinated with; they will not be accepted. You can download and print the APWU Supports Our Troops postcard to accompany your care package. For security reasons, personal messages cannot be enclosed in an envelope or sealed in any way. Messages that contain negative remarks will not be forwarded. Gratitude Dinners provide a much needed, much deserved night out for severely injured troops recovering at the Walter Reed Army Medical Center, National Naval Medical Center, the Fisher House or the Malogne House. The dinners provide these courageous men and women with an opportunity to enjoy each other’s company away from the confines of the hospital, where some will remain for over a year. The dinners are hosted on Friday night at a steakhouse in Washington, DC. Usually about sixty troops are in attendance. If you would like to show your appreciation, make your donation payable to APWU Gratitude Dinners. There’s probably nothing harder for a small child than being separated from a parent and there’s nothing as comforting as a soft cuddly teddy bear. Children of US Troops make a significant sacrifice that often is never acknowledged. Let them know you understand and you care. Donate a new stuffed animal or toy. They will be distributed at military family centers prior to a deployment or to children visiting their parent at a military medical facility along with an APWU certificate of appreciation for being brave and helpful while their parent is serving in the line of duty for the United States of America. It’s a great way to introduce children to unions. In our visits to medical facilities we have met a lot of family members, mostly young wives, but there are also husbands, moms, dads, brothers and sisters. All there to stand vigil and to provide support while their loved one endures their struggles of recovery. We witnessed the toll that the long days and long nights take on the families. Family members hope never to be in these circumstances, yet find they are grateful for life. You can see the strain on their faces and hear it in their voices. Their sacrifices are also great. When we say we support our troops that means we support their families too. APWU Human Relations Department would like to sponsor special events at the medical facilities to give family members a brief moment to reenergize: books, luncheons, manicures, relaxation workshops, afternoon teas. Whatever we can do to help get them through and let them know we care. The U.S. Postal Service is among the largest employers of veterans in the Nation, second only to the Department of Defense. During FY 2007, the Postal Service employed 684,564 individuals. This was a decrease of 11,326 employees from the 695,890 employed during FY 2006 (Table 13). There were 170,851 veterans employed in the Postal Service during FY 2007. This is a decrease of 8,497 veterans from the 179,348 employed during FY 2006. The 59,114 disabled veterans represented 8.6 percent of the Postal Service’s career workforce as compared to 8.8 percent (61,482) during FY 2006. The representation of disabled veterans in the Postal Service showed a decline of 2,368 disabled veterans (Table 13). Additionally, the Postal Service’s representation of 30 percent or more disabled veterans declined by 332 from 16,823 in FY 2006 to 16,491 in FY 2007. In FY 2007, there were 25,681 total promotions made within the Postal Service. Veterans received 6,017, or 23.4 percent, of the total promotions. Disabled veterans received 2,351, or 9.2 percent, of the total employee promotions during FY 2007. As a subset, veterans with a 30 percent or more disability rating employed in the Postal Service received 734, or 2.9 percent, of the total promotions during FY 2007.